We love our dogs and want to ensure we do the right thing when it comes to their diet, but despite some of the information we receive through advertising, we don’t have to spend a lot of money to keep them in optimum health. I’ve owned several dogs in my lifetime and each has always received excellent vet reports and lived until a healthy old age. 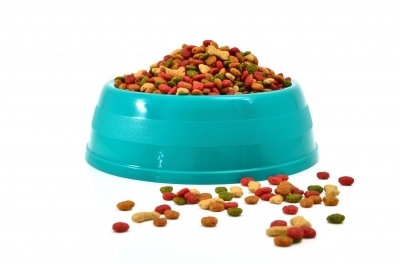 Kibble is the healthiest and most convenient food for your dog. As well as being balanced, it keeps their teeth and gums healthy, and stores well. You can buy large bulk bags to save money, as long as it's kept in a covered container. Cod liver oil gives your dog essential omega 6 and can be purchased cheaply from a pet store in a generic brand. Olive oil. A tablespoon every now and then drizzled over kibble is a healthy treat. Yoghurt, all natural with no fruit or colouring, helps kill any bacteria in your dog’s stomach. It also reduces bad breath. 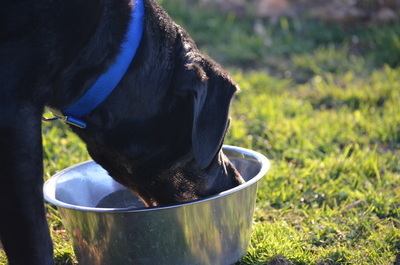 Give your dog the containers and they will spend a lot of time licking them clean. Tuna (the kind that we humans eat, not cat food) contains Omega 3 & 6 which keeps your dog’s coat shiny and teeth healthy. They should eat no more than an equivalent of a small can every two weeks. Make sure it’s tuna in oil; generic brand is fine. 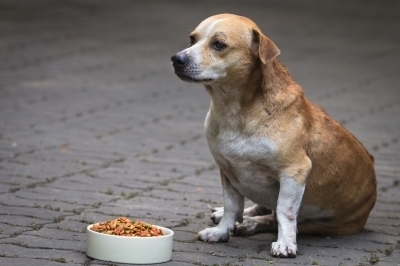 When money is tight, try extending your dog food with rice, pasta, bread, egg or left-over vegetables. You can feed your dog raw meat, but he will need some extra supplements as well. Check the internet or your vet to find out more. 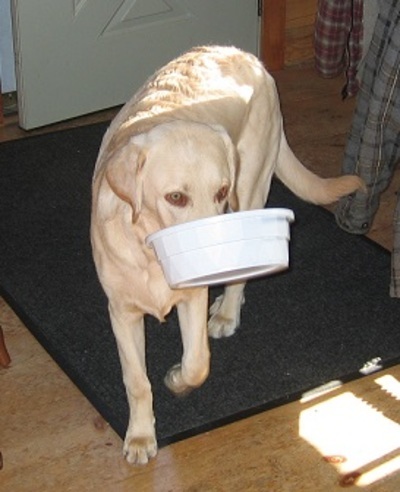 Adjust the amount you feed your dog by how active he is. Feed him what he should have – not what he begs you for. 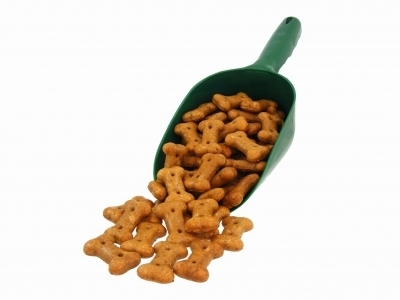 If your dog needs to spend a lot of time alone, throw a small handful of dry food around the yard. He will enjoy sniffing it out and it will keep him occupied for ages. I've always made my own dog biscuits using meat juices as the base. I also make jerky by semi-freezing liver and slicing it thinly, then drying in a low oven; A cheap and healthy treat. You can find lots of recipes on the internet for making your own dog treats. We all know the importance of fresh water. Try adding a teaspoon of apple cider vinegar for health benefits. In the summertime, drop an ice block into his drinking water. For an extra special treat on a hot day, dissolve a small amount of Vegemite or stock in hot water, let cool, fill ice-cube trays and then freeze. Toss them outside to keep your dog happy for ages. Raw bones every now and then will be fun for your dog and good for his teeth. There’s a lot to be said for a raw diet for dogs. Sue Day, an animal behaviourist says, “On a raw food diet your dog will feel fitter and healthier. His hunger will be more satisfied and his behaviour will improve or will be easier to manage. His or her coat will be shiny; their teeth white and stain-free; their gums pink and not inflamed red and their behaviour will be quieter and easier to handle. Your dog will eat less and go to the toilet less too, so less cleaning up the yard! And it will cost you a lot less to feed him”.